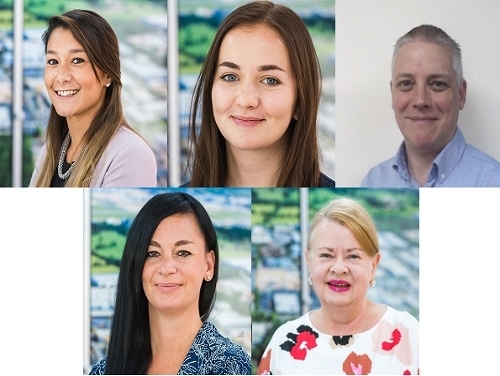 SHW’s Crawley office has seen five new staff starting in July & August, indicative of a surge in instructions with which the firm are involved in the region and beyond. Carlie Cheall has been appointed the Senior Surveyor in our Professional team. She has previously worked in a graduate surveying role for TSP, qualifying with them and assuming the responsibility of portfolio and lease manager for numerous charities. Carlie will specialise in Healthcare and Education. Lizzie Oliver has joined us as a Graduate, also in Professional. Lizzie has considerable work experience from placements with the Valuation Office Agency, Linden Homes and Fawcett Mead. Our Property Management Team’s expertise has been expanded by the appointment of Facilities Manager Jeff Snelling. Jeff has in excess of 15 years’ experience working in a managerial, operational and security capacity for a multitude of firms across the higher education, health and private sectors. We’d also like to welcome Danielle Casling and Marion Ricketts to our support staff.